Schwarzenegger's autobiography is, first and foremost, a really really great rags-to-riches story. But it's true. And it's surprising: he didn't make his first million dollars by acting. And it's inspiring: he goes a little into how one should think, when pursuing a particular goal. And, lastly, it's very well written. It'll completely redefine your idea of the man. And it may give you a glimpse into how you might better sculpt your idea of you. Schwarzenegger's autobiography. Very interesting as well. He's a true self-made man. 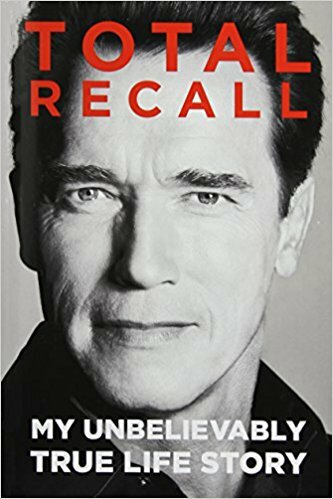 One of the most anticipated autobiographies of this generation, Arnold Schwarzenegger’s Total Recall is the candid story by one of the world’s most remarkable actors, businessmen, and world leaders.